A trip to Cuba, SNL food and more Massimo Bottura, all delivered straight to your TV or computer. We get it, your life is busy. Between work, reading the Internet and sleeping occasionally, most of us simply don’t have time for much else. Luckily, we’re here to help you stay up to date on what to watch should you have any downtime this weekend, when you’re not devouring a plate of cecina or studying up on your tequila knowledge, of course. Here are some of the food-related shows and movies airing or recently new on your favorite platforms to watch this weekend. In 2016, Chef Massimo Bottura's restaurant Osteria Francescana was voted the best restaurant in the world. What did he do to celebrate? He decided to use the food waste from his restaurant to feed the homeless. Theater of Life documents this story and the people, both chefs and meal recipients, that Bottura's initiative has touched. Binging with Babish, host Andrew Rea's show where he cooks dishes from your favorite movies and TV shows, has just hit one million followers on YouTube. To celebrate, Rea gave viewers a behind-the-scenes look at how he creates the show, along with cooking one of his most over-the-top recipes yet, the Pizza Crepe Taco Pancake Chili Bag from SNL's "Taco Town" sketch. 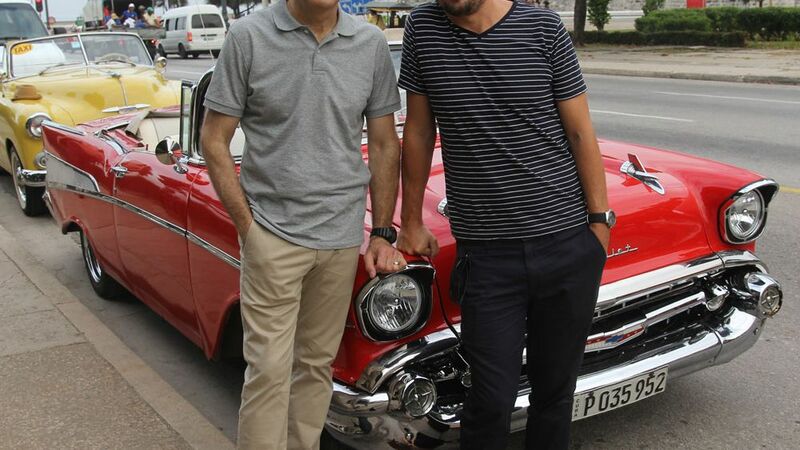 If you aren't able to take a trip to Cuba anytime soon, go on a tour with PBS' new show Weekend In Havana. Host Geoffrey Baer explores the culture, architecture, food and drink of Havana while exploring Cuba's future by learning about the country's complex past. Episode one is now available on PBS.org. Beyond Food is a new documentary focused on alternative approaches to mainstream health practices. Over the course of the film, athletes, farmers, doctors and wellness practitioners share their unique takes on how to live a healthier lifestyle via alternative means and philosophies. If nothing else, watching Beyond Food might just be the healthiest thing you do all week. Issa Rae's HBO show Insecure, which chronicles her character Issa Dee's adventures in modern dating and contemporary L.A., is back for season two. While the series doesn't have the sorts of direct food ties of other 2017 comedy premieres like Master of None, the critically acclaimed show is sure to feature plenty of awkward scial interactions in its sophomore season made even more fantastic by the addition of plenty of booze. Insecure is good way to mellow out after the stress of watching HBO's other Sunday night stalwart, Game of Thrones. Season two premieres this Sunday on HBO.